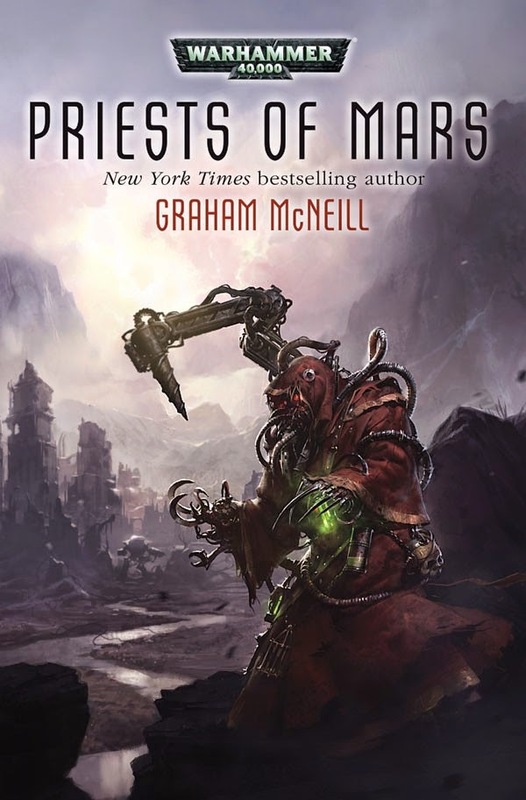 I recently just finished the second book in Graham McNeill's Mechanicus trilogy, Lords of Mars, and it did not disappoint. Lets take a look. If you read the first book in the series, Priest of Mars, then you know that the second book had a lot to live up to. Fortunately McNeill delivers and has upped the ante on almost everything. What is refreshing to me about these books is that its a break from the standard battle, followed by battle, followed by battle format that a lot of standard 40K fare uses. It sits somewhere between Abnett's Inquisitor books and a typical 40K novel in that its similar to what has been dubbed "domestic" 40K; basically showing more of the day to day, behind the scenes stuff that we know has to occur for it to be a believable setting, but still has plenty of high stakes action with Space Marines, Titan Legions and epic starship action. Be warned, this review contains minor spoilers of the first book. The story picks up pretty much right where the last book ended, with the Sparenza and its crew arriving over the world that contains the remains of Archmagos Telok's ship. As with all series you may spend the first few chapters reacquainting yourself with all of the characters, luckily there aren't as many to remember as say in a Heresy novel. The tone early on sets up all of the weird and strange things that surround the Adeptus Mechanicus and McNeill really does a fantastic job at it. 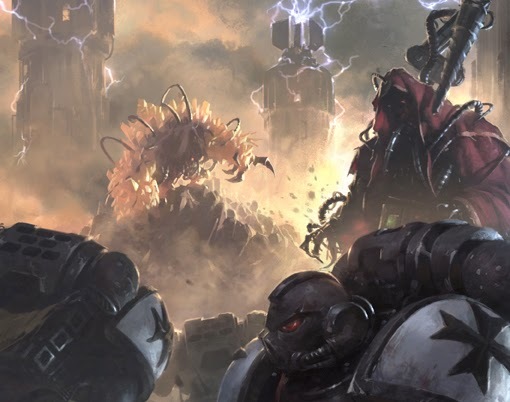 As the expedition makes its way across the planet they inevitably encounter some enemies, which are kind of odd, but at the same time something new for 40K. My one complaint about them is that we don't really get an explanation on what they are, but the end of the novel implies that we will probably learn more in the next book. 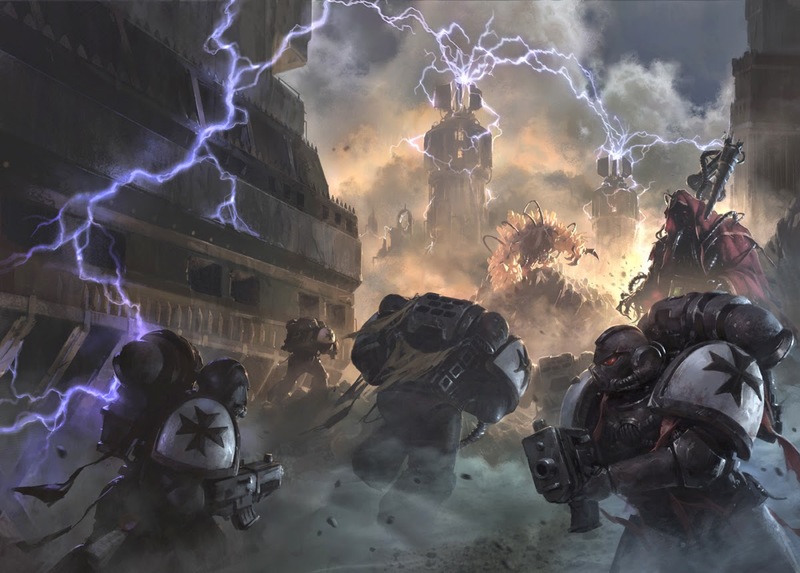 Without giving to much away the story progresses with some world changing revelations that I am excited see the outcome of, some great Space Marine and Titan action as well as a fantastic "space battle" that acts as the climax of the book. As far as characters go my favorites are Archmagos Kotov, Brother-Sergeant Tanna, Abraham, Magos Linya and the Rogue Trader Roboute Surcouf. The last one really steals the show for me and I really hope that McNeill plans to write a Rogue Trader centric novel at some point. Although Abraham himself was interesting his storyline was by far the weakest. It felt as though it didn't really have any resolution or purpose and the democratic ideals it represents doesn't really mesh well with what we know about 40K. The one thing that really felt like dead weight was Hawke, the guardsmen who was one of the central characters of Storm of Iron. In the first Mechanicus novel he served some purpose but in this sequel he really does very little and just comes off as unlikable and annoying, which is really a shame. In Storm of Iron I really liked him but McNeill seems to not know what to do with him and included Hawke just to be a "hey, remember this guy" moment. The only other underwhelming element was the Eldar, but it seems they were more planting a seed for a major contribution in the next book, so we shall see. 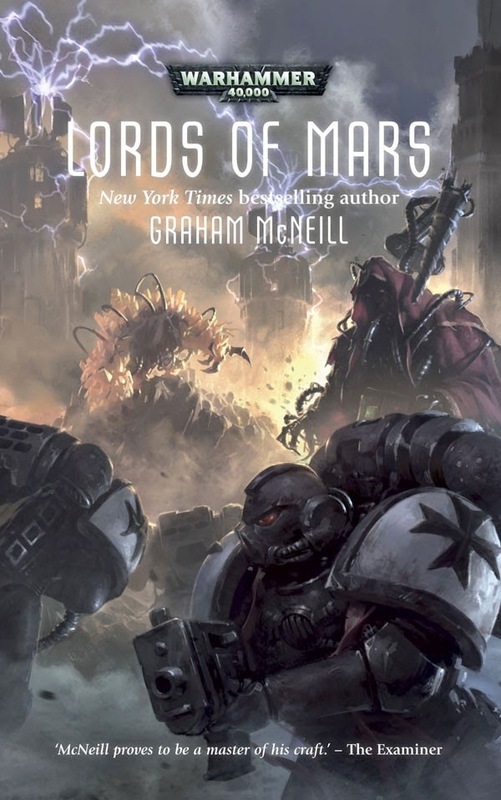 Lords of Mars really is a fantastic novel since it gets to explore all of the weird fringe elements of the 40K universe, heck, it even takes place outside of the borders of the Imperium. This freedom from what we normally read really lets McNeill go be creative with his characters, settings and situations. With the ending of this book I know where the first few chapters of the final novel in the trilogy will go but as far as where the series will ultimately end, I have no clue, which leaves me very excited to get ahold of Gods of Mars whenever it comes out. Oh, and this series has some of the most gorgeous cover art I've seen from Black Library, just saying.